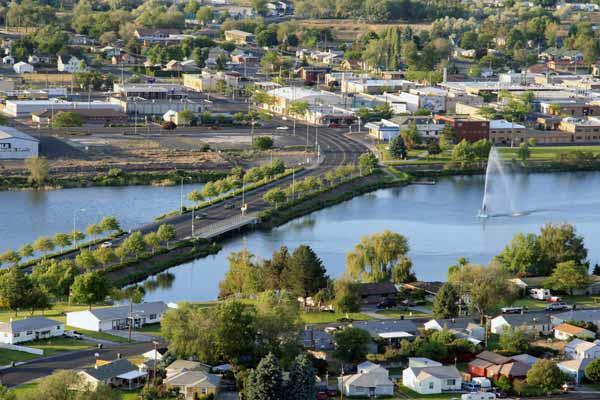 Moses Lake is centrally located in Washington State approximately 177 miles east of Seattle and 106 miles west of Spokane. The economy has mainly supported by the vast amount of agricultural business, yet with vast land Moses Lake and its surrounding area has experienced a considerable amount of growth in manufacturing & technology. Did you know that over a quarter of the potatoes produced in Washington state are grown in Grant County? Thanks to the Bureau of Reclamation’s irrigation district project and the Grand Coulee Dam, irrigation is provided to throughout Grant County’s farmland. Most local farmers rely heavily on the irrigation system for producing crops. The top agricultural commodities in Grant County include, hay, wheat, corn and potatoes.